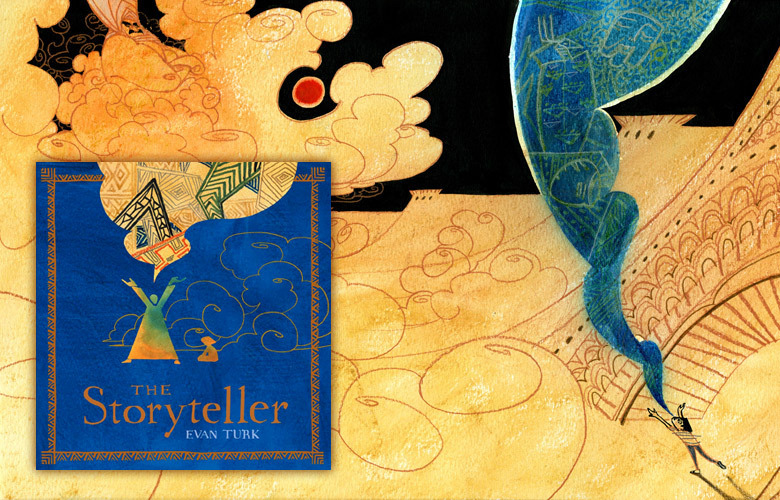 Evan Turk's author/illustrator debut tells the story of a young boy in Morocco who unknowingly becomes an apprentice to a master storyteller, and uses the power of storytelling to inspire hope and rescue his city from a looming sandstorm. Atheneum/Simon & Schuster, June 2016. Continue below for more spreads.